Södersjukhuset (SÖS) is one of the largest hospitals in Stockholm, Sweden. Constructed between 1937 and 1944, it was designed by architects Hjalmar Cederström and H. Imhäuser. 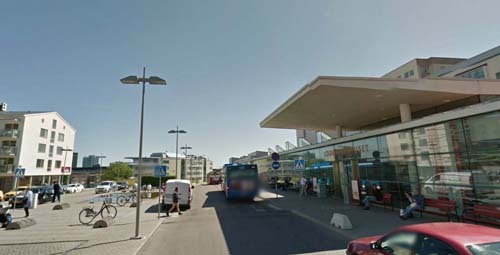 Södersjukhuset has the largest emergency department in northern Europe. King Gustaf V inaugurated Södersjukhuset on 3 April 1944. At the time, the building was the largest in Scandinavia. 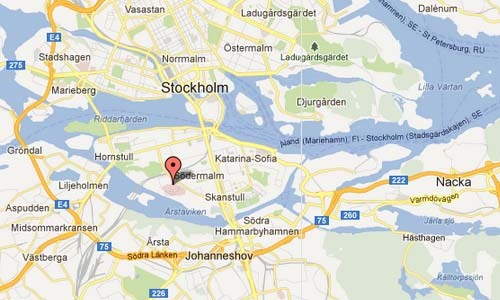 With more than 4,000 employees, Södersjukhuset is the third largest employer in Stockholm. The hospital has an underground complex measuring 4,500 square meters called DEMC (Disaster Emergency Center), which was completed and inaugurated on 25 November 1994. In peacetime the complex is used for training and scientific research. In case of disaster or war the complex is fully operational as a normal hospital. 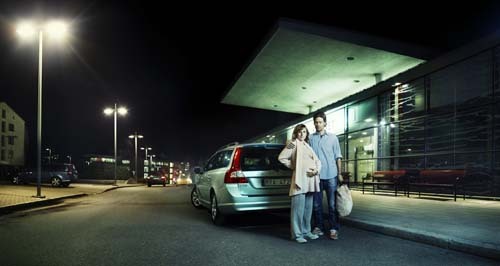 Volvo Cars Sweden used this location in their 2012 winter campaign on billboards “Det finns en bil som får Sverige att rulla” (There is a car that keeps Sweden rolling) and (TV commercials). More information on www.sodersjukhuset.se and sv.wikipedia.org.